While 2009 is almost upon us, there's still some time to pass out gaming awards for 2008. 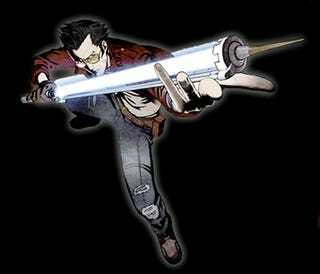 I bet you didn't think No More Heroes would be making anyone's list. The San Francisco Chronicle handed out their gaming awards for the year. Noticeably missing from this list are the usual suspects, like Grand Theft Auto IV, Dead Space, Fable II, and Resistance 2. They've been replaced by the likes of No More Heroes (! ), Soulcalibur IV, Mirror's Edge, and Burnout Paradise. They also named their gaming MVP, as well as their High's, Low's and Most Improved.